This is a 1913 ad for a Quaker Puffed Wheat and Puffed Rice! The size of the ad is approximately 5.5x15inches. 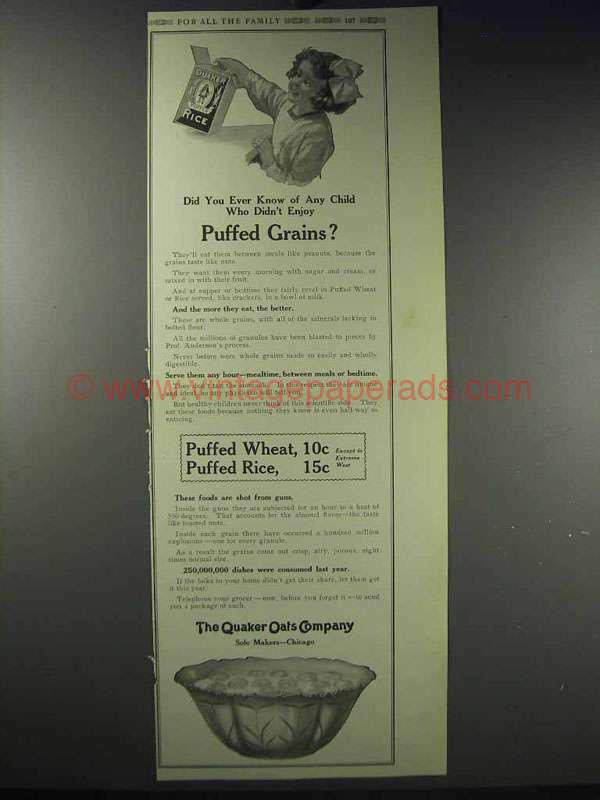 The caption for this ad is 'Did you ever know of any child who didn't enjoy Puffed Grains?' The ad is in good overall condition, with a subscription crease at the center and some edge wear. This vintage ad would look great framed and displayed! Add it to your collecction today!